Spring is a perfect time to get some projects done around the home. The air outside is fresher, flowers are in bloom, and it is generally a time of new beginnings. Why not give your home some of the same feeling? If you’re interested in making some changes around your home this Spring, here are some great home projects that you should tackle. One of the best things you can do is clean and organize your home. You’ve spent all Winter cooped up inside your home, and you’re probably a little sick of it. Junk has piled up, and you just never really found the energy to give it the cleaning it needs. With Spring here, now is the perfect time to do this. There are several ways you can go about tackling this project. For starters, you could hire a service like https://amazoncleaning.net/ to really give your home a deep clean. If you don’t want to go this route, make a list of everything that needs to be cleaned, then set aside some time to get it done. Dust every corner, clean your furniture, and wipe down every surface. After that, it’s time to declutter. Go through all of your stuff and think about what you really need to keep. We’re all guilty of saving things that we no longer need, and eventually our homes become crowded with junk. Separate your stuff into piles of things you want to keep, things you want to try to sell, things you can donate or give away, and finally a pile of stuff you can just throw away. Once you’ve gotten everything into piles, start finding the stuff you don’t need a new home. With all the junk gone, now is the perfect time to organize. Grab yourself some storage bins or put up some shelves. Keep similar items together, and ensure each item has a proper place. If it helps, label your storage units so you know where everything goes. Once your home is cleaned and organized, you’ll instantly feel much better. A great project you can tackle this Spring is creating a space for your kids. As any parent knows, kids have a way of taking over the entire home. By giving them their own space, you help to contain some of the chaos. This space could be your basement, a spare bedroom, or even a treehouse outside. It doesn’t matter where it is, as long as your kids are safe there, and you don’t mind it getting torn apart from time to time. Once you’ve picked a spot, work on setting it up. Give it a fresh coat of paint, move some of your kid’s toys there, add some storage units so they can keep things organized, and consider adding in some tech like a TV or computer. Get input from your kids what they would like to have there, and work together to create a space for them that is all their own. Now that Spring is here, you can finally spend some more time outside. While you’re out there, why not start a garden? A garden is a fun, relaxing hobby that allows you to spend some time outside, while making your yard look better at the same time. Best of all, if you decide to grow some fruits or vegetables, you get to enjoy the fruits of your labor by eating them (no pun intended). To learn how to start a garden, you can check out this guide. Finally, if there’s a room in your home that’s seen better days, consider giving it a fresh coat of paint. When you paint a room, there’s a strong smell that comes with it. One of the best things you can do is open up the windows and allow the room to air out. However, this is harder to do in the Winter, making Spring the perfect time to paint a room. You can use this guide to help you pick out a color, then it’s just a matter of getting yourself some supplies and finding the time. While everything outside is coming back to life, give your home the same treatment. 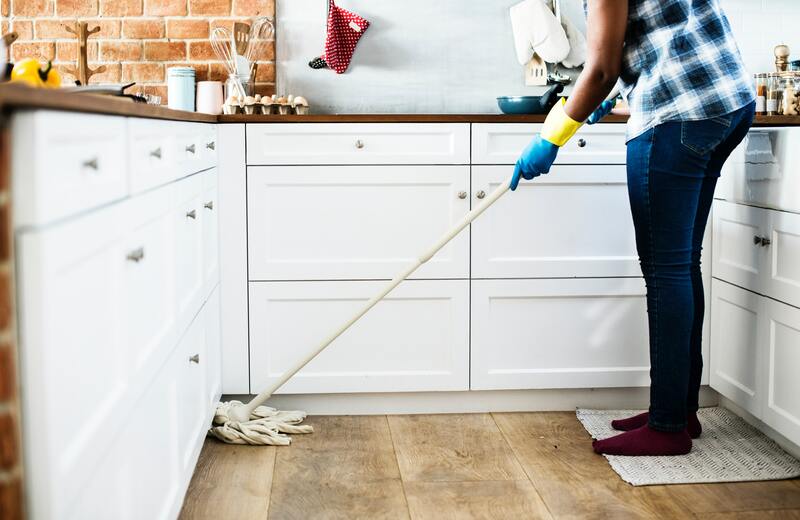 Now is the perfect time to get rid of all that clutter you built up over Winter, really give your home a good cleaning, and finally tackle some of those projects you’ve had your eye on. Hopefully this guide was able to give you some ideas, and you’ll be able to make good use of your time this Spring.